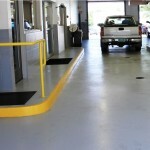 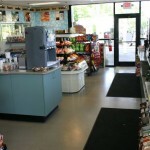 Service drive-through with new anti-skid epoxy coating system. 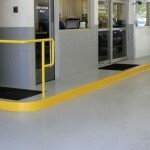 Safety yellow curbing stands out and looks great. 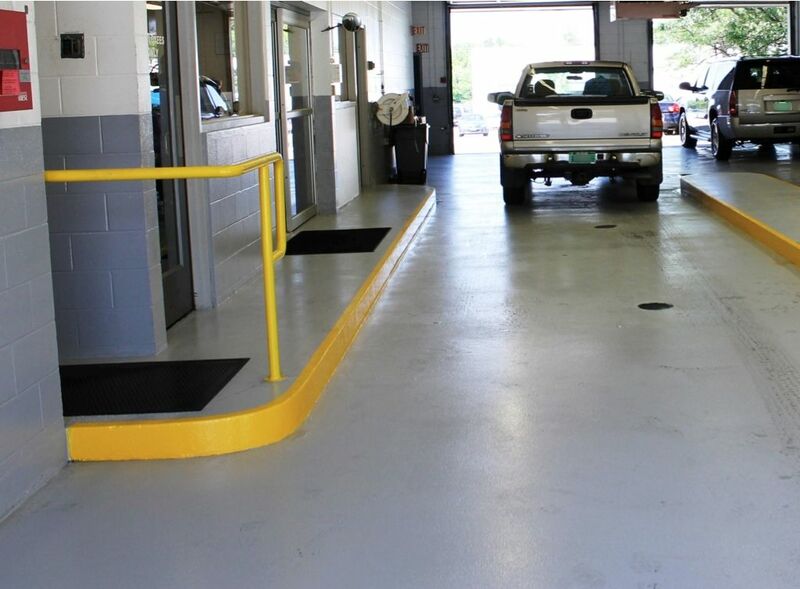 Shearer Chevrolet called us due concerns about “slip and fall” accidents in the customer drive-through for their service area. 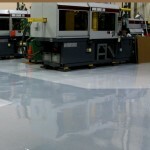 They also wanted a good looking floor in this high visibility area. 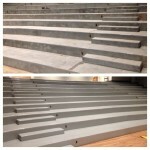 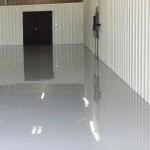 We installed a full broadcast epoxy/aggregate flooring system that provides very high traction as well as great durability. 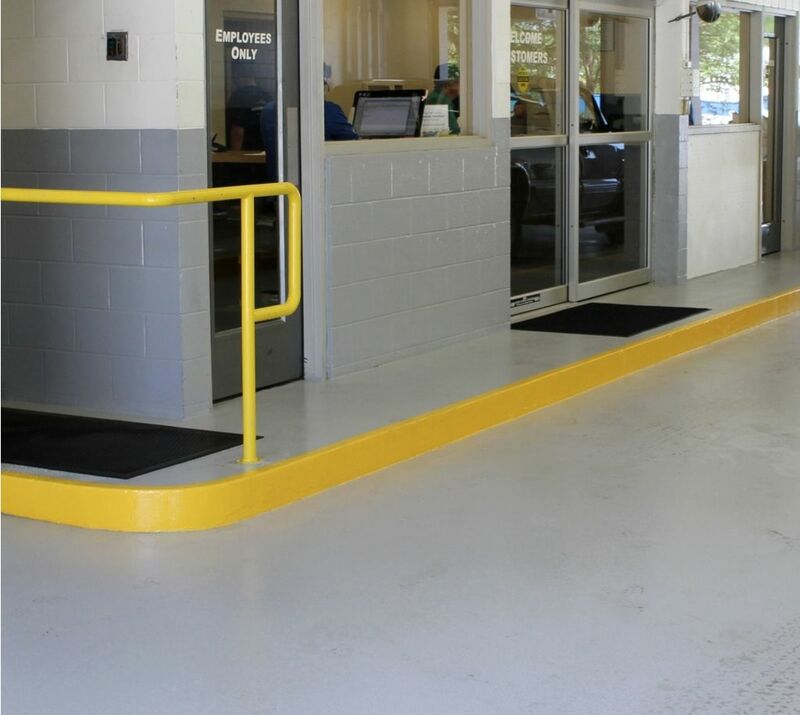 The yellow epoxy on the curbs adds to the safety of the area and adds a great visual highlight against the neutral grey flooring.